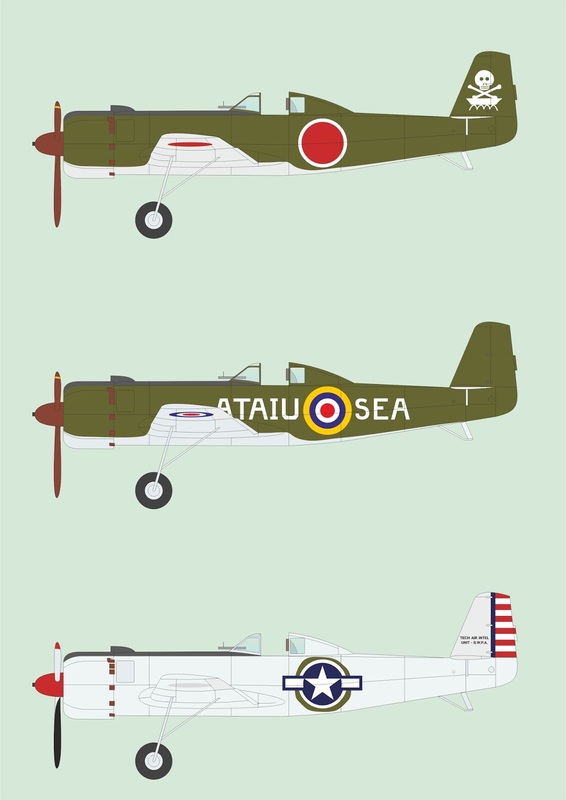 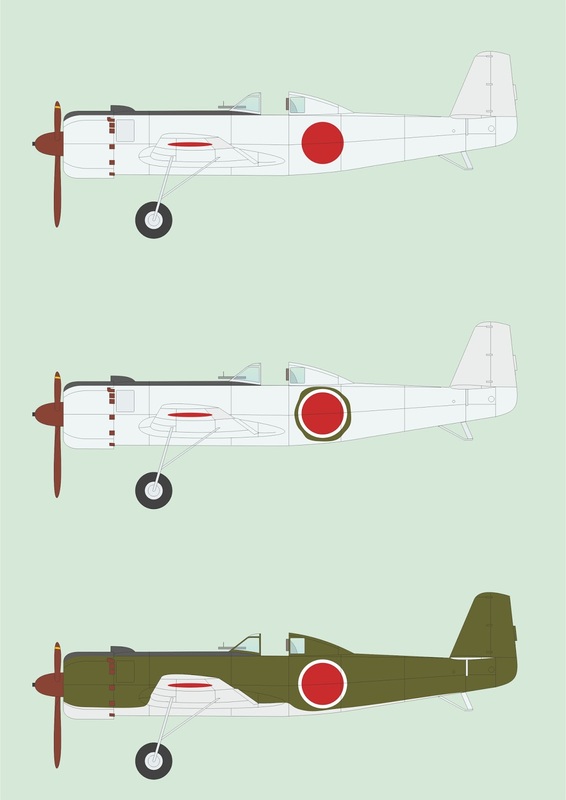 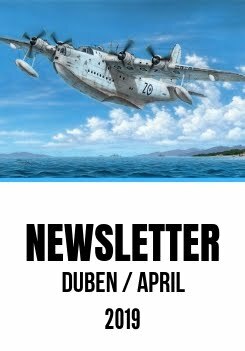 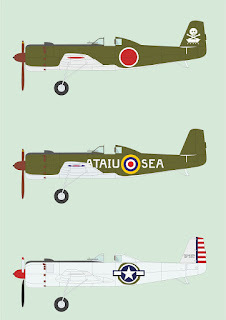 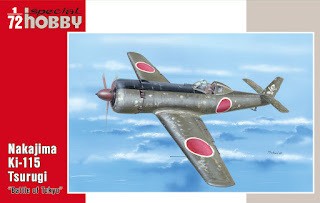 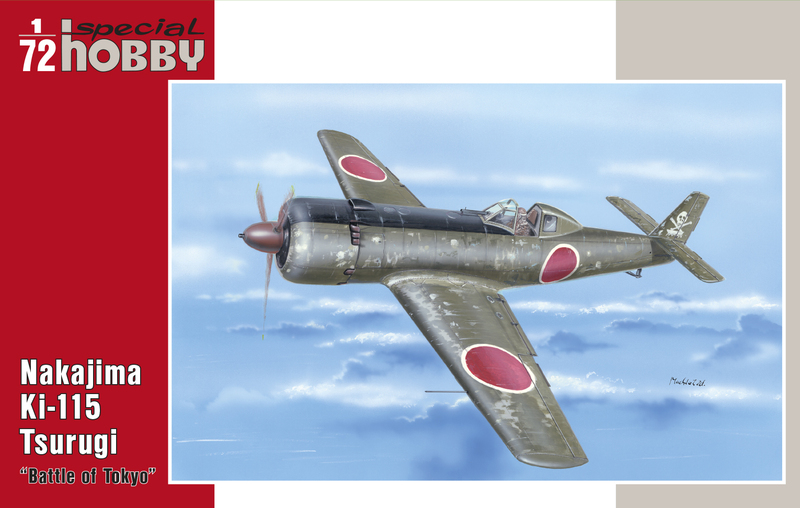 A pair of our 1/72 Nakajima Ki-115 Tsurugi kits is due for a January reissue. The Ki-115 was a design specially produced for so-called Kamikaze (or Special Attack) units. 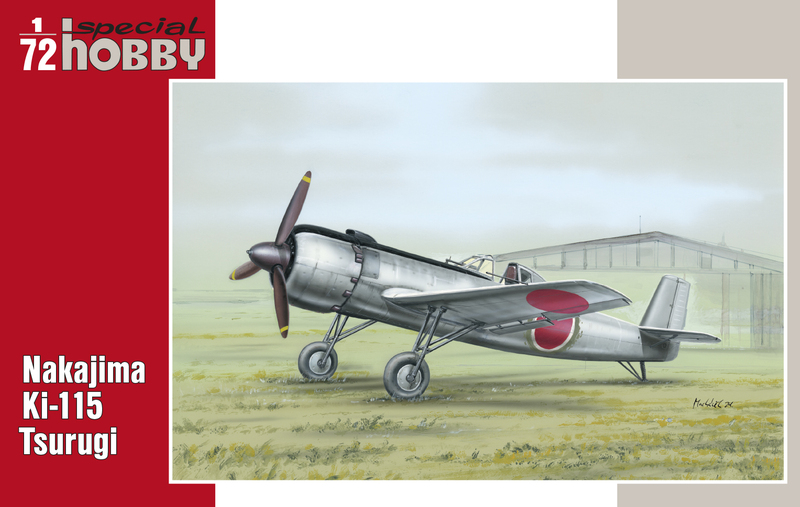 The first of the models is SH72198 Nakajima Ki-115 Tsurugi and caters for three marking options of production machines. 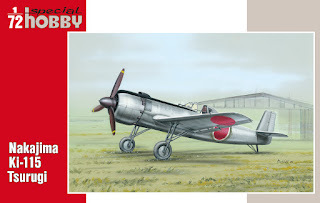 The other kit SH72199Nakajima Ki-115 Tsurugi "Battle of Tokyo" offers fictive camouflage schemes, including those of captured machines.